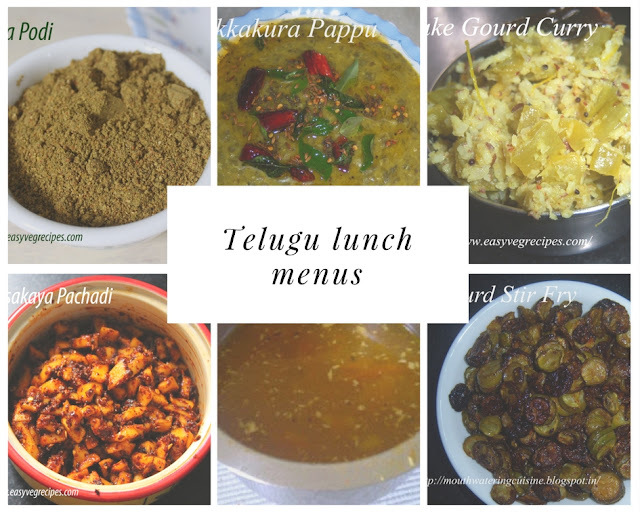 A Telugu people's lunch menu consists mainly of pappu, pachadi, curry, fry, sambar, rasam, and curd. Pachadi is the interesting dish of the menu. Without pachadi and pappu a Telugu Brahmin lunch is incomplete. Podi is also a part of the menu. The first spoon of rice is taken with podi. It is said that this podi with rice would help in easy digestion and cleanse the stomach. In the below-given menu list, always rice is added last in the menu because it is served last and only after serving all side dishes in the plate. We have to serve all the available side dishes first and then rice and lastly drop a spoonful of ghee or clarified butter. It is the way to make them know the available side dishes. Serving also done in a specific way like to the right-side of the plate curry, left-side chutney, and powder, dal should go in the front of the plate and rice should be served in the center. After serving the rice a spoonful of ghee would be served. One corner salt is served. All the side dishes would be served again if wanted or at least asked for. It is verbally mentioned that rasam, sambar(if it is there) and curd are also there. Papad and fryums are also part of the menu, sometimes we love to have majjiga mirapakayalu also. Coming to the post, below I am listing simple lunch menus. Of course, there is no hard and fast rule, but it helps in planning the menu easy and simple way. We can make different rasam everyday. 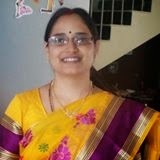 Please find the below link here for different varieties of rasam.